Criminality is often the result of a consistent pattern of distorted thinking errors (forgetting the Imago Dei in everyone and listening to the lies of the enemy) that results in irresponsible and hurtful behavior. One of the most common errors in thinking is the failure to consider injury to others. As a general rule, young people (and many adults) do not consider the effect of their actions on others. Brief moments of guilt or remorse are quickly replaced with feelings of being a victim themselves or self-righteousness for the harm they have caused. When offenders express what appears as sincere regret, careful examination will show that these overtures are typically used to tell others what they want to hear. They are often more sorry they were caught than remorseful for harm they have caused by their actions. Congruent with failing to consider injury to others, youth involved in criminal behaviors also don’t consider themselves bad people. The drug dealer will argue he isn’t forcing anyone to buy drugs. The drug addict will claim she isn’t hurting anyone but herself. The violent or aggressive individual will say he didn’t mean to hurt anyone and the thief will say she has to make a living somehow. When adolescents with criminal thinking heed the advice of scripture and can honestly think about the injury they have caused, they begin to change their distorted sense of self worth and align it with the Imago Dei. They can then more accurately conclude that they are a victimizer more than a victim and have deeply harmed others. They can do so because the faith community lives and dies by grace and mercy, seeking to restore people with their God and those around them. Replacing the thinking error of failing to consider injury to others involves becoming aware of the full impact of abusive and criminal behavior. 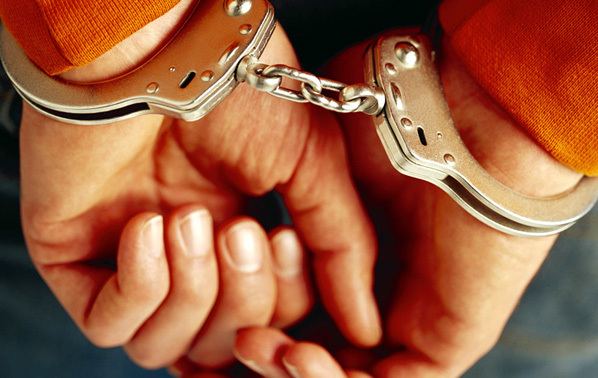 It is important that one not only look at legally defined criminal behavior, but also examine irresponsible actions such as lying, deceit, conning, game playing, vindictiveness, and other tactics. For lasting change to occur it is essential that these students go beyond immediate injury and consider the “ripple effect.” For example, in the case of property theft, consideration should be made regarding the crime’s affect on the business owner’s attitude, feelings, friends and family. The effect on the offender’s attitude, friends and family should also be explored along with the ripple effect of the crime in relation to property values, feelings of safety, insurance rates, and a host of other consequences. The purpose of this activity is to aid the young person in developing, expanding and sustaining a moral conscience by aligning it with the Holy Spirit. God gives us the gift of guilt but it is only of value if it is used to break our heart of undesirable behavior and develop a sensitive, well formed conscience that is in sync with the Father’s. Criminally-minded youth do have a conscience but render it inoperative through repeated patterns of corrosion and dissociation. Feelings of guilt and remorse are corroded and thoughts about the impact of their behavior are cut off. Regularly and thoughtfully contemplating injury to others helps redevelop the criminal conscience and strengthens it for deterring insensitive and criminal acts in the future. This is only effective if there is an abundance of grace awaiting them when they are ready to let go of their criminal behaviors and they are only likely to do this if there is an open and loving community expressing the love and restorative mission of the Father.